A fairly straightforward herb and citrus mix, Lemon & Dill doesn’t pretend to be anything it’s not. It’s labeled as “lemon and dill,” and the ingredients are lemon and dill – with just a hint of other organic seasonings to better bring out the lemon-y, dill-y flavors. Sometimes, that sort of honesty is refreshing. Another thing that’s refreshing is enjoying the fresh flavor of lemon with the lip-smacking, bright taste of dill on a freshly-cooked chicken or seafood main dish while you enjoy a side of roasted potatoes infused with a light and airy lemon and dill tang, and sit in a lemony yellow dining room furnished with a set of dill-green colored dining room table and chairs and decorated with famous paintings, such as Van Gough’s “Still Life with Lemons on a Plate,” with sprigs of fresh dill in a vase on the table as a simple yet elegant bouquet. Can’t decide what spices and herbs to add to your dish? 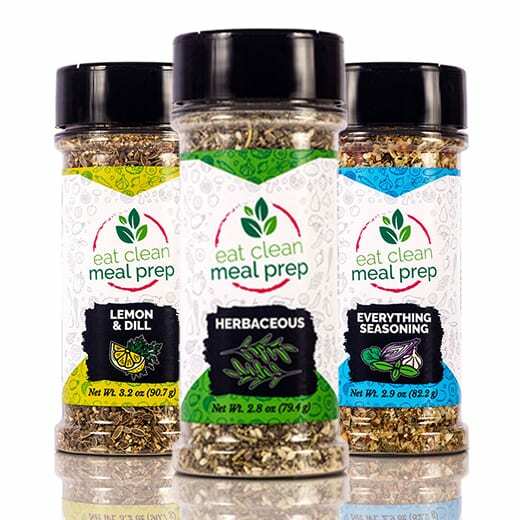 Try our Herbaceous spice mix! This dependable little mix adds an intricate and subtle flavor perfect for any meal! Why this spice mix gets along with every dish is simple: there’s layers and layers of complex, yet soft, flavors that can take a back seat or rise up and be the star of the show, depending on what other flavors you have in your dish. There’s a bit of everything in here, including garlic, onion, and rosemary. There are even sesame seeds, which adds a dash of the exotic and makes this spice mix perfect for Asian meals! A cool thing about this mix is that the flavors become deeper, fuller, and rich when baked. Mmmm.